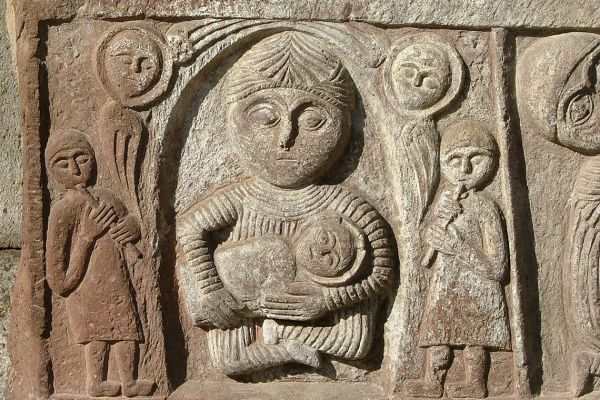 Armenia, an ancient civilisation whose territory once stretched from the Black Sea to the Caspian, was the first nation in the world to adopt Christianity officially, in 301 AD. 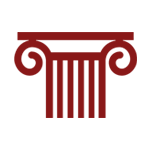 Their heritage of early stone-carved churches is unsurpassed. We spend four days based in Yerevan, Armenia’s vibrant capital with architecture from ancient to Soviet times and statues spread across its historic streets, taking in the History Museum at Erebuni Fortress, the Matenadaran manuscript collection, the Genocide Memorial and the Echmiadzin Cathedral. 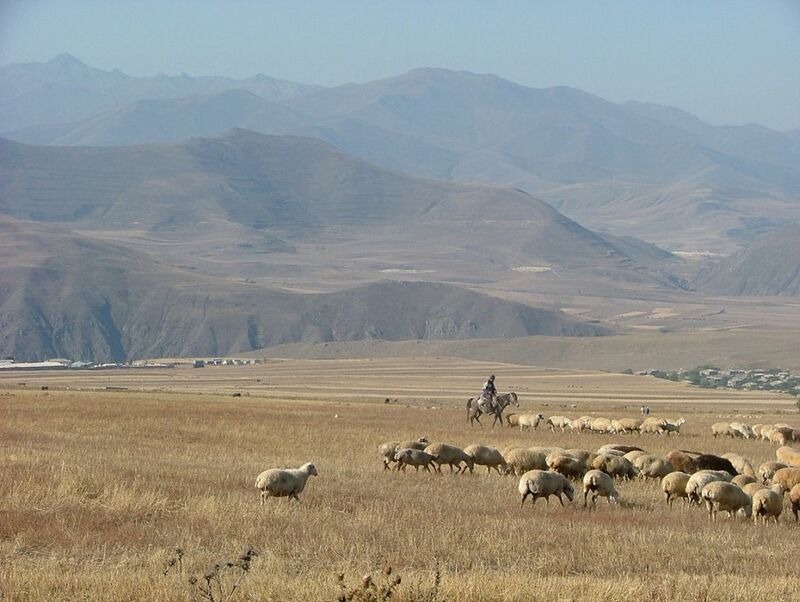 Travelling through the mountainous terrain of the Lesser Caucasus resembles traversing an open-air museum. We access remote monasteries, ancient standing stones and early forts on foot and observe the traditional way of life in rural communities. After meeting at Yerevan airport in the evening, we have a 30-minute transfer to our 4-star hotel in the centre. We have a light supper, perhaps followed by a nightcap of the celebrated Armenian brandy (Churchill’s favourite). 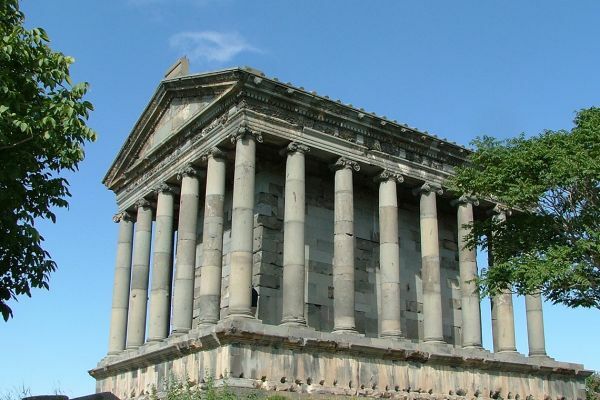 Archaeological evidence suggests that Yerevan, Armenia’s capital, is one of the oldest continuously inhabited cities in history. We begin our explorations at the Erebuni Fortress, dating from 782 BC, with its museum displaying items found during excavations of this Urartian military outpost. We walk through the city centre and up the strikingly modern Cascades for views of Biblical Mount Ararat, lost to Turkey in 1921. We start at the moving Genocide Memorial and Museum, then drive out of the city to Echmiadzin, the home of the earliest (more than 1,700 years old) and most important cathedral in Armenia. 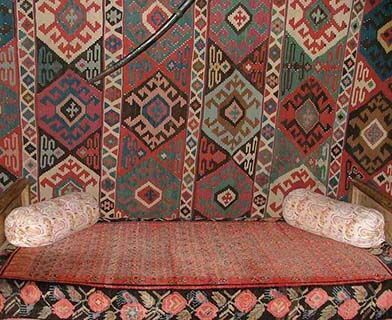 Returning to central Yerevan, there are opportunities to visit the National Gallery and the Historical Museum; to inspect top-quality Armenian carpets or simply people-watch from a café in the Green Belt or the famous Republic Square, renowned for its grand architecture and musical fountains. 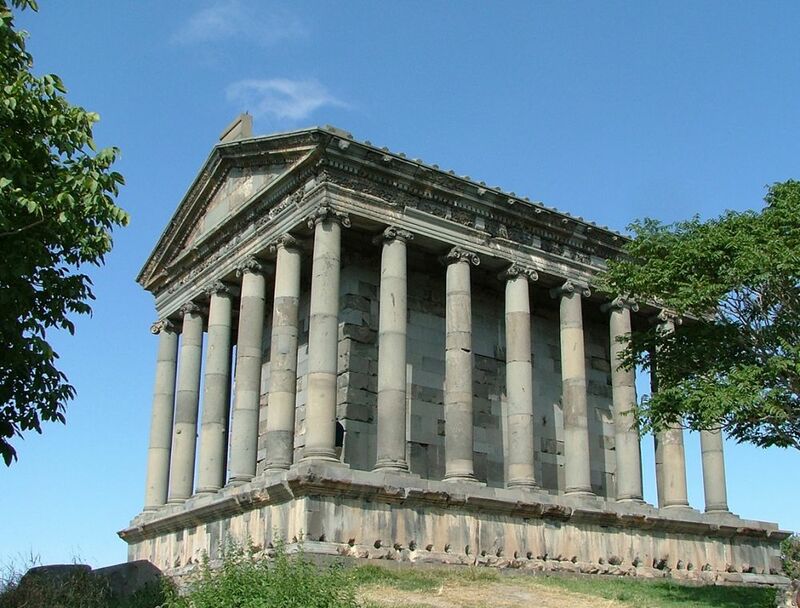 An hour’s drive brings us to the start of our 2-hour walk through a gorge, with outcrops of basalt columns, up to the Parthenon-like Garni Temple, a first century Graeco-Roman pagan temple probably devoted to the Zoroastrian God Mithra. We may hear Armenian visitors give an impromptu choral concert. 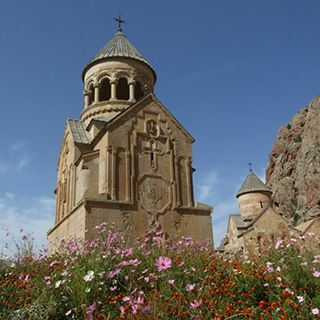 Nearby is the legendary Monastery of the Spear at Geghard. This UNESCO World Heritage site was carved into the rock to house one of the most cherished relics of Christianity, the Spear which pierced Jesus on the Cross. 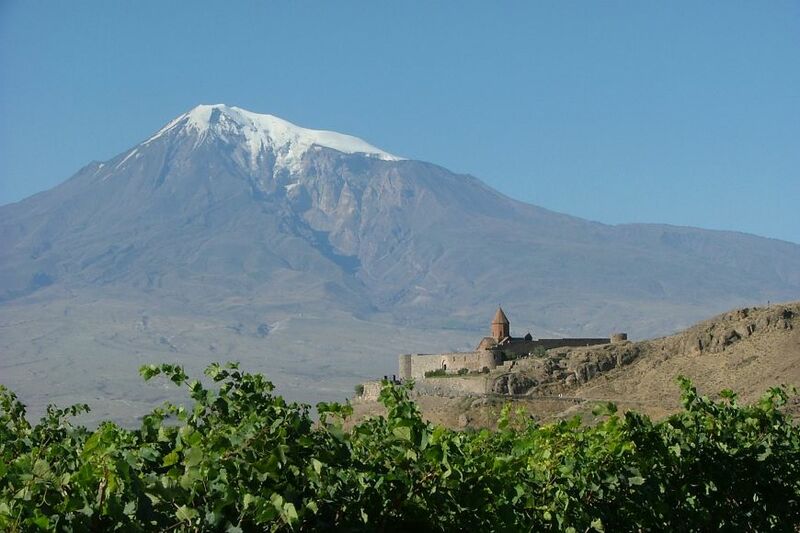 Heading south, our first stop is Khor Virap, a monastery set photogenically below Mount Ararat and the site of the Royal prison where St. Gregory the Illuminator was held for thirteen years before converting Armenia to Christianity in 301, by curing King Trdat I. We continue across a mountain pass and through the vineyards of the Areni valley to the 12th century red rock monastery of Noravank. We investigate the marvellous carvings of the churches, before a short walk through a dramatic red rock gorge. Eagles and long-legged buzzards soar above us as we stroll round the standing stones at Karahunj, an ancient astronomical observatory, rather like Stonehenge, but smaller and possibly older. Arriving in Goris, in the far southeast of Armenia, we settle in our next resting place, a typical provincial Armenian hotel. 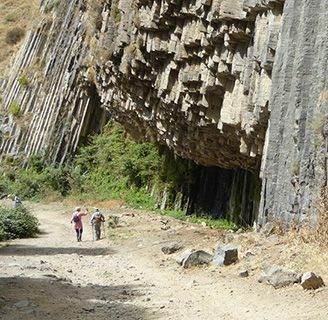 We explore the nearby historic cave village of Khndzoresk on a 2-hour walk. Inhabited until the 1950s, the multi-story dwellings, carved out of volcanic rock, were complemented by churches, schools and workshops. 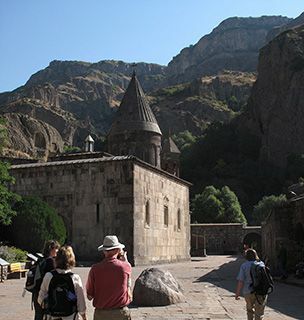 Back in Goris, we walk through the town centre, along tree-lined streets with 19th century stone houses before returning to our hotel. 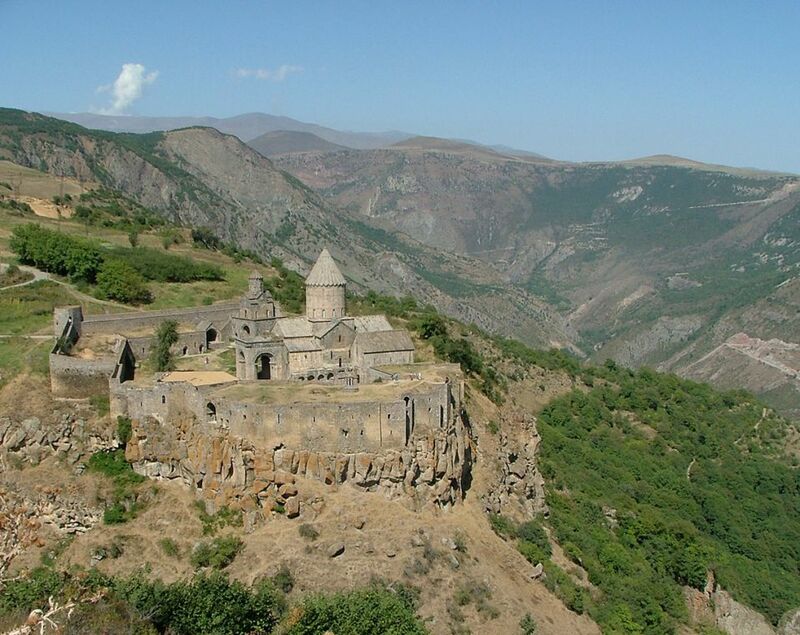 Following a short drive, we board a cable car across a deep river gorge to access the fortified 9th century Tatev monastery, once a renowned centre of study with more than 600 monks in residence. Our 2.5 hr walk takes us gradually up to a viewpoint on a grassy ridge and round the other side of a mountain. 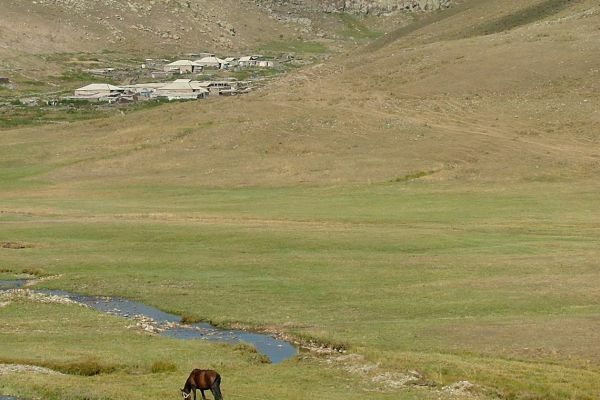 In the afternoon, we drive for 3 hours to our overnight stop in the mountains of the Vayots Dzor province in a comfortable rural lodge. 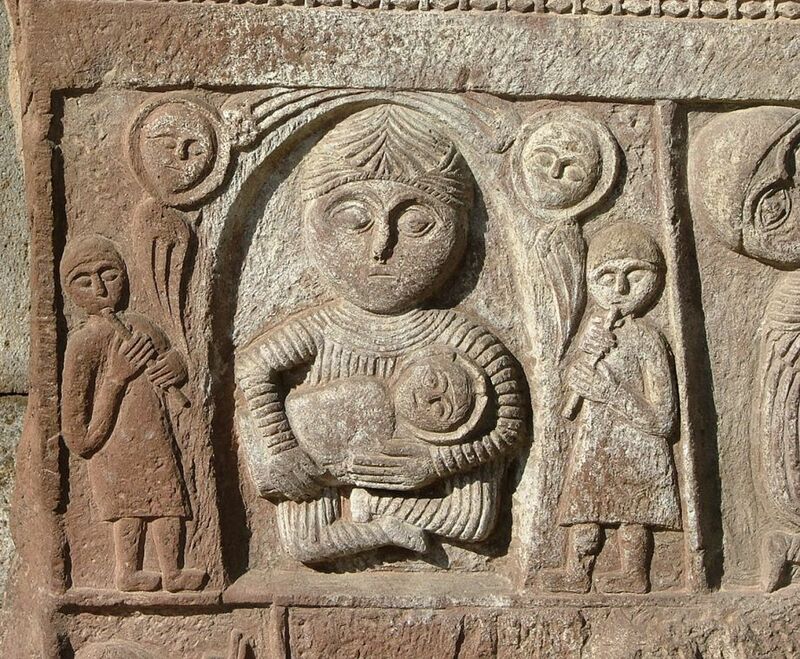 We stop to walk through the village of Yeghegis to see the 14th century Zorats church, where horses and arms were consecrated before battle, and the oldest known Jewish cemetery in the world. 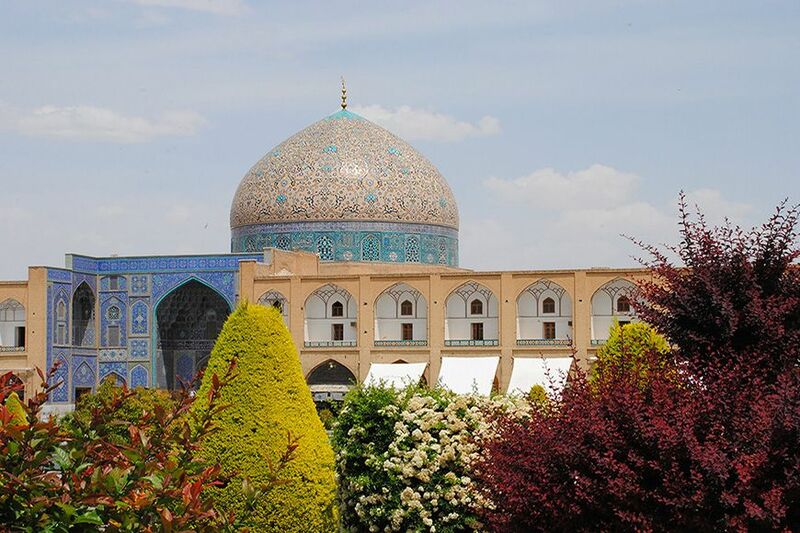 Our route now follows the Silk Road and crosses the Selim Pass at 2,401 m, where we stop to admire the remarkably well restored 14th century Orbelian’s caravanserai. 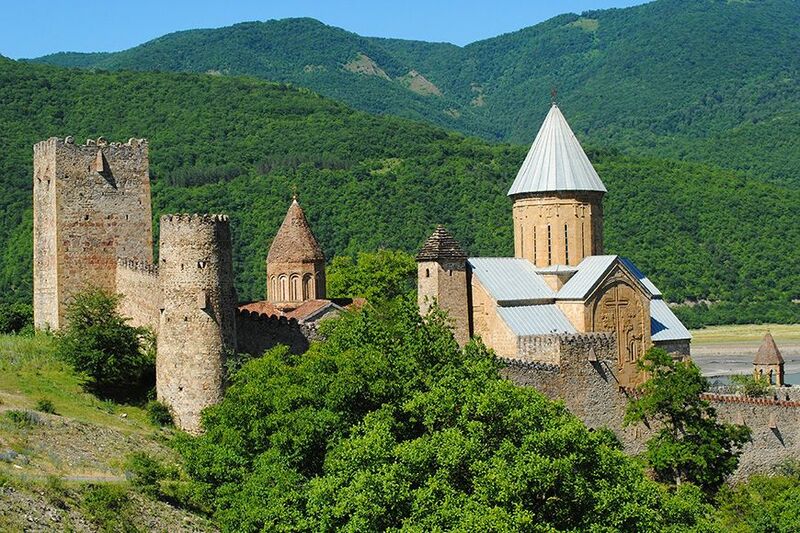 On the shores of the high-altitude Lake Sevan, we pause at Hayravank monastery and see a number of khachkars (mediaeval carved crosses) before proceeding north, on the Tbilisi road, to our next 4-star hotel, an imposing stone building set in a river gorge, with an indoor pool and a spa. 13th century frescoes reward us for a steep 15-minute climb up to the semi-ruined church at Kobayr, and lammergeyers, griffon vultures and golden eagles may be seen on the cliffs above. 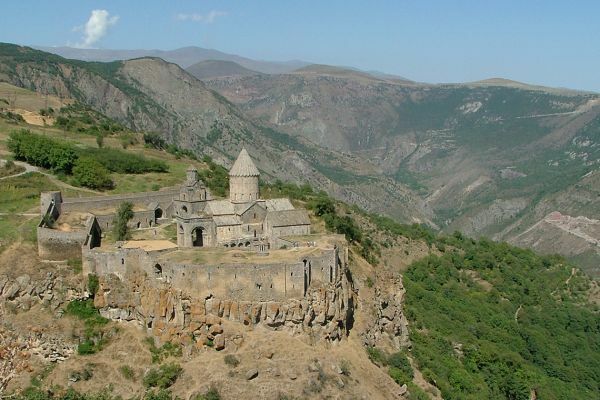 We explore the UNESCO World Heritage listed, 10th century Haghpat monastery and walk down into the valley (1 hr). In complete contrast, we see a MiG-21 fighter plane in Sanahin, the birthplace of its designer, then ascend a high plateau to the country home of the Armenian poet, Hovhannes Tumanian. We drive to the Dilijan National Park, characterised by forests of oak, beech and hornbeam. After a 2-hour walk linking little-visited mediaeval monasteries, we head for the attractive town of Dilijan for lunch and a visit to the Art Gallery, with a representative collection of Armenian paintings of the 19th and 20th centuries. 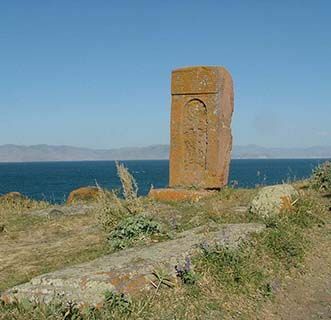 We stop at the Goshavank monastery, founded in the 13th century and once famous for its library, before continuing to our next 4-star hotel on the eastern shore of Lake Sevan. A morning walk (3.5 hrs) takes us through the nearby village, with its horses and walnut and apricot trees, before entering a picturesque river valley. The rest of the afternoon is free for relaxing in the hotel swimming pool or outdoor hot tub, reading or enjoying the views of the lake. The hotel has an excellent, stylish restaurant featuring traditional Armenian dishes such as marinated aubergine salad with walnuts and beef roll with plums and red wine sauce. High on Mt. Aragats, an extinct 4,000 m volcano just north of Yerevan, we have a simple picnic at 2,300 m by the ruined Amberd Fortress, destroyed by the Mongols in 1236. 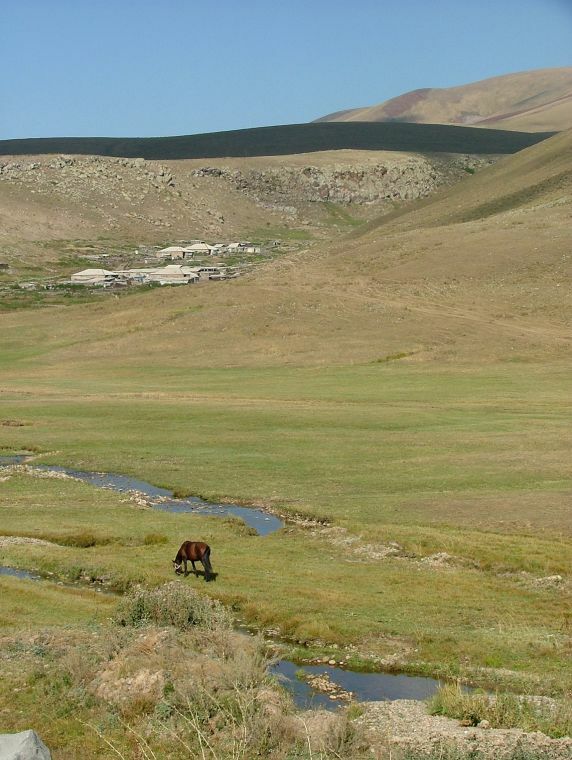 Our optional and weather permitting 3-hour walk follows the Amberd river valley. Clear weather brings marvellous views of Mt. 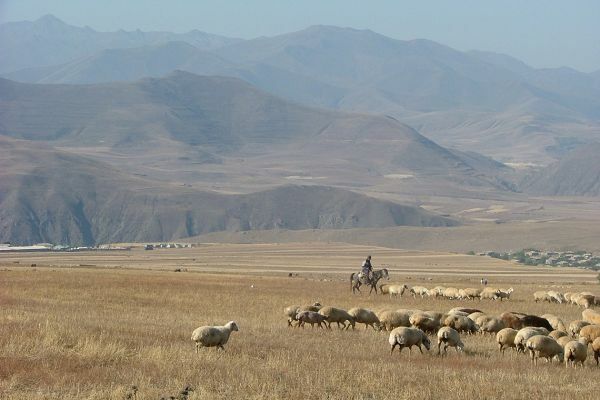 Ararat and we may encounter Yazidi shepherds and their flocks. Returning to Yerevan, we check in at our original 4-star hotel. 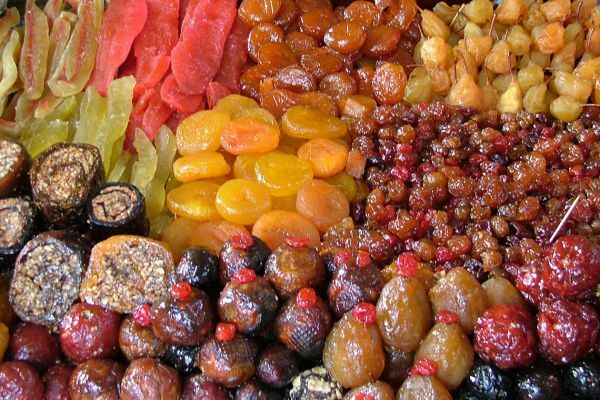 We have a leisurely day in Yerevan taking in the important collection of Armenian manuscripts in the Matenadaran and the covered market with its piles of fresh and dried fruits, walnuts and herbs. We enjoy a farewell candlelit dinner in one of Yerevan’s excellent restaurants. A morning transfer to the airport concludes our holiday. Please note that the single room supplement is imposed by the hotels and not by Kudu Travel. If you are willing to share, but no other suitable guest books on the trip, we regret that the supplement will be payable. We endeavour to obtain double rooms for single occupancy, whenever possible. Visitors from the EU currently require a valid passport for entry to Armenia and no longer need a Visa. For most other nationalities, a Visa is issued on arrival at Yerevan airport (approximately £ 30, payable in Armenian drams purchasable on the spot). If you are a national of a non-EU country, please check visa regulations with your nearest Embassy of Armenia. At present, there are no specific and compulsory health requirements for entry to Armenia, but you may wish to consult your doctor (at least 6 weeks before you travel) about updating your immunisation against Hepatitis A, polio, tetanus and typhoid, or anything else they consider advisable. You may also wish to check the advice given to travellers by the Department of Health and the FCO. 8 walking days, 1 to 3.5 hours daily. Lightweight hiking boots which offer good ankle support are essential as the terrain is generally rough underfoot. September temperatures range between 13° and 28°C during the day, with cooler evenings. It is normally dry and clear at this time of year.